Whether we would like to admit it or not, we can all be a tad judgemental. Perhaps we are simply creatures of habit and continue to unknowingly mimic previous actions and thought patterns. Being judgemental does not make you a bad person, but it does show evidence that you may lack the art of acceptance and understanding. Here is something that I was taught at a very young age. “If you judge others, prepare to be judged yourself.” It’s a simple, self explanatory and effective statement. I have carried those words through every path I have crossed in life. Walt Whitman once said, “Be Curious. Not Judgemental.” To dig a little deeper into this quote, Walt is implying that it’s okay to question things or be curious, but don’t be closed minded or judgemental. You know that grumpy old woman down the hall who never smiles? Perhaps she just lost her husband. Or that neighbor who walks with a limp? Perhaps he just had a hip replacement. It’s easy to judge before you know their situation. 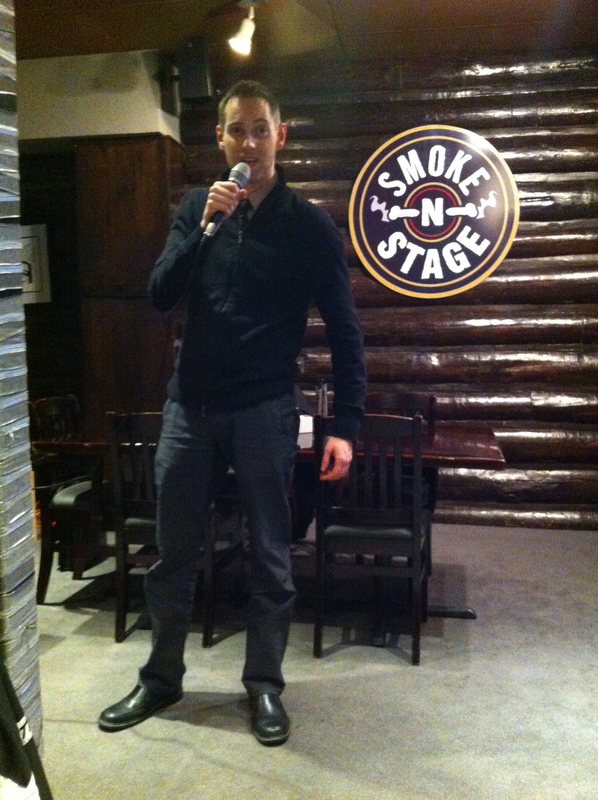 Here’s a quick clip of me hosting Pub Stumpers Trivia Night at Smoke-N-Bones. Remember, you can come out every Monday evening at 7:30pm to join in on the action! On the latest edition of Ultimate Fighting Weekly: The results of UFC on Fuel TV: Barao vs McDonald, recently announced fights, UFC 160, TRT, the Olympics and predictions of UFC 157. Do the chocolates, flowers or romantic dinners really matter on Feb 14th? No. It’s a thoughtful gesture, but what really matters is expressing your love and appreciation to the most important individuals in your life rather than celebrating the bells and whistles. Perhaps you don’t have a significant other, well express those feelings towards your closest friends and family. Sure, Valentine’s Day is just another corporate holiday meant to make an extra dollar off of us, but the least you can do is phone, text, email or visit those who have truly made an impact in your life and simply say, “I love you.” You just never know when it might be your last opportunity to say those 3 little words. And by the way, you don’t have to wait until Valentine’s Day to share those loving thoughts. These power messages tend to mean a great deal more when they are delivered unexpectedly. You just received another bill in the mail, you’re starting to feel under the weather, the car isn’t running properly and you are under constant pressure at work. Does this sound familiar? In one form or another, stress tends to affect us all. Is there a way to de-stress? Yes! Here are my personal tips to the rescue! Laugh – A little laugher may not solve your problems, but it will certainly distract you from them. Perhaps a funny movie or YouTube video will do the trick. Get Some Sunlight – I’m talking about natural sunlight, not the artificial type. It’s a common fact that serotonin levels are increased in the presence of the sun. These levels are responsible for mood elevation. Simply put, a little Vitamin D could easily boost your spirits. Breathe – Taking deep breaths can be an instant stress reliever. I tend to practice these from a laying position. Listen To Music – Listening to music tends to have a very relaxing effect on our mind and body. Don’t be afraid to sing along to your favourite song either as it can also release tension. The next time you are stressed out, which could be at this very moment, try out these tips out and let me know if they worked for you! 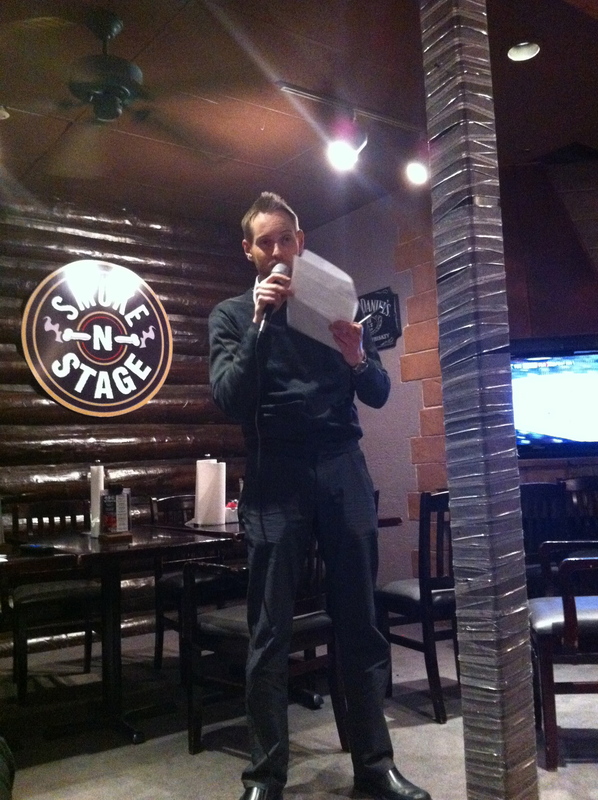 A special thanks to everyone who came out to Pub Stumpers Trivia Night at Smoke-N-Bones! I had a blast hosting and we will be back next Monday, February 18th! Hope to see you there! Ultimate Fighting Weekly Episode 2 is now available! We have all encountered a bully at some point in our lives. Whether we were picked on or witnessed someone else get verbally or physically mistreated, it still heavily exists in today’s society. From the school yard, to the workplace to a local grocery store, bullying remains a worrisome trend. We’re told that bullies tend to pick on others to cover their own fears, but I’ll take it one step further. Bullies are perhaps the most insecure of us all. They will push around others to feel better about themselves and to project an image of absolute power. In fact, many bullies will go out of their way to avoid any possible portrayal of vulnerability. We’re also told that we should understand where they are coming from and be sympathetic. I personally choose not to be. I am far from insensitive but feel that by providing them with sympathy, we are merely excusing their actions and not holding them responsible. I am well aware that many bullies come from a turbulent past, but shouldn’t one learn from that? Pardoning a bully based on their upbringing or current situation seems far too lenient. If a bully fails to see the error of their ways despite others pointing it out to them, then they deserve to feel abandoned. I am a firm believer that EVERYONE deserves a second chance, but one must be willing to make the necessary adjustments in order to reap the benefits. I simply prefer to celebrate the good in the world and ignore the rotten apples. Besides, life is too short to bite into one. Confidence can be defined in several different manners, but I sum it up with just one simple statement, confidence is all about believing in your self. As you have likely experienced, building up confidence can be a rather daunting challenge. There have been several occasions where I have doubted my abilities or lacked confidence as a whole. Can you boost confidence with time? Absolutely. I didn’t truly begin to feel confident until I was 18. Whenever I am full of doubt, I go back to the tips that were always effective. Be Positive – Simply put, a positive attitude can work wonders for your confidence. Talk To Your Friends And Family – Your friends and family always have your back. They will always be the first to cheer you up and bring you back to reality. The reality is, they care about you for a reason. Acknowledge Your Insecurities – We all have flaws. Unfortunately, it’s a fact of life. By addressing your insecurities, you can either work on them or move on. Don’t Obsess Over Perfection – There is no such thing as perfection. Michael Jordan missed thousands of basketball shots and Donald Trump doesn’t close every deal. Greatness is an achievable feat, but perfection is not. Recognize Your Accomplishments – Yes, you do have an accomplishment to be proud of. Go back into those memories, dig them out and then pat yourself on the back. Focus On Your Goals – When you focus on a goal, you are more likely to achieve some form of satisfaction. Life is an unpredictable storm. In order to weather that storm, you need to believe in your self. We are one week away from the debut of Pub Stumpers Trivia Night at Smoke-N-Bones! Register your team of two or more and receive a $5 off coupon! 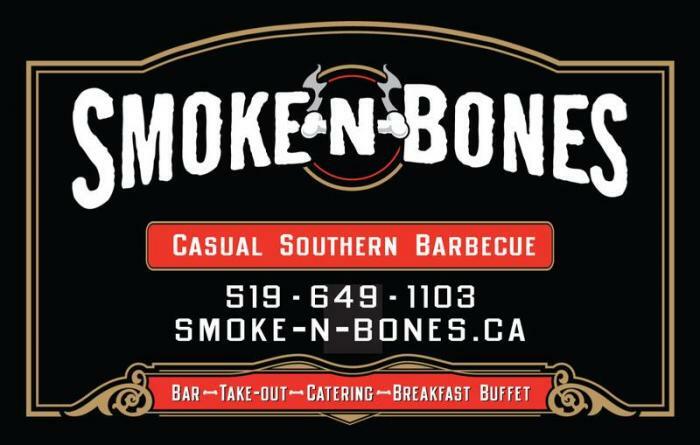 It’s Pub Stumpers Trivia Night with Chris Toplack at Smoke-N-Bones starting on Feb 11th at 7:30pm.